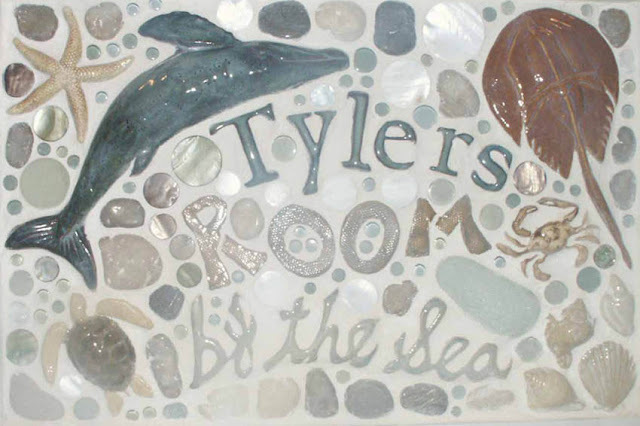 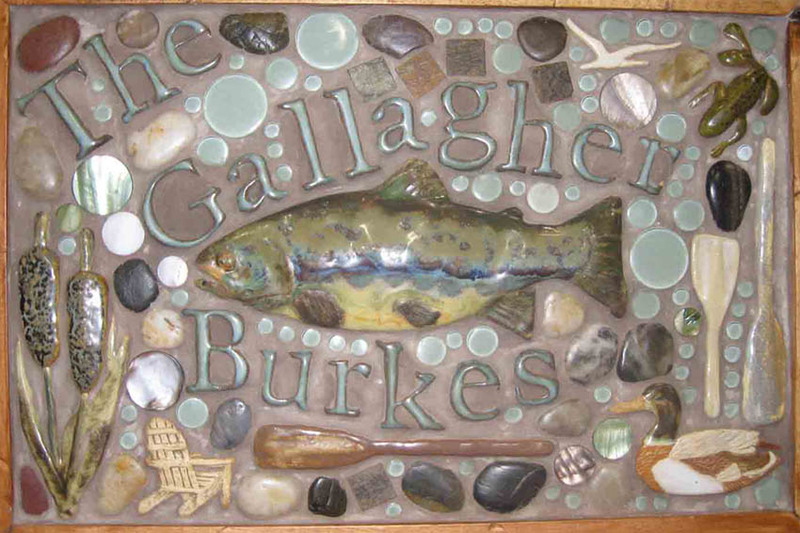 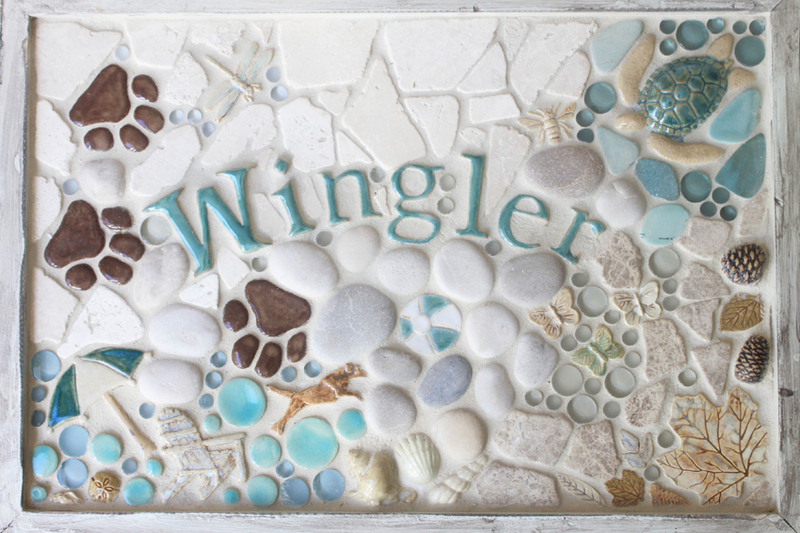 Not only do we make custom murals and borders, but we create custom name plaques as well! 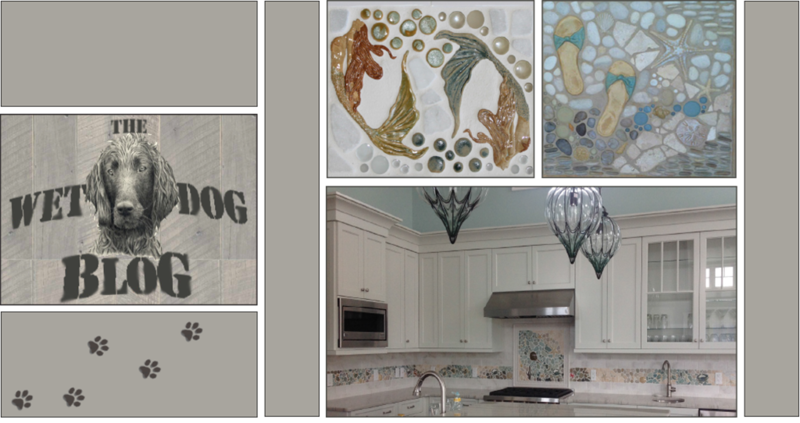 Each mosaic plaque is crafted, framed, and grouted here at Wet Dog. These are perfect as a gift or to have for yourself! 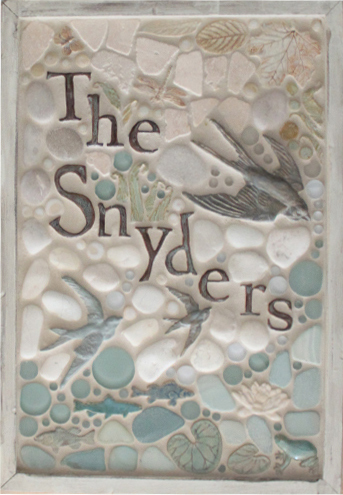 Check out some of the plaques below - which is your favorite?